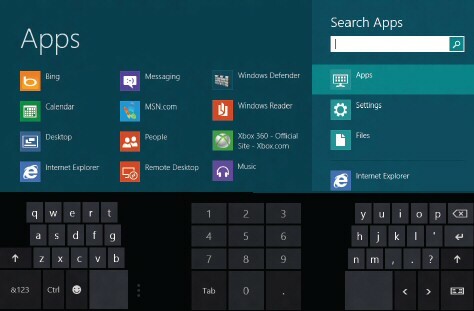 This page explains how to launch the various Windows 8 touch keyboards. They enable you type with a tablet, furthermore, virtual keyboards have business and fun uses on desktop machines. From the Metro UI type ‘Keyboard’, the On-Screen Keyboard icon appears. As usual, you can right-click and Pin to Start, or even ‘Run as administrator’. You can launch the W aboveindows 8 Touch Keyboard from the desktop. 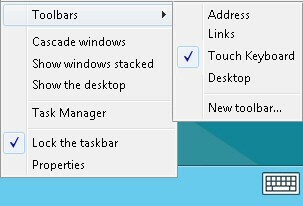 Right-click on the Taskbar, select ‘Toolbars’. 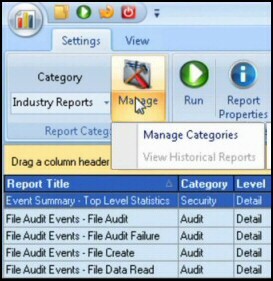 Place a tick next to ‘Touch Keyboard’, see screenshot above.e. The touch keyboard can morph into two other input devices, perhaps the most interesting is the stylus for handwriting. Observe the handwriting icon, it’s very good at recognising my writing and translating it into beautiful script. 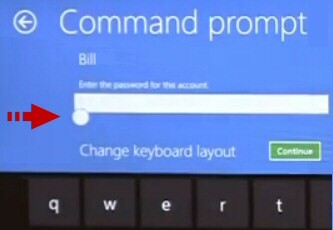 Windows 8	Tablet computers have the new ‘Thumbs’ split keyboard. This is an alternative not a replacement for the traditional layout. Here is a keyboard for a specialist job. You are trying to repair a tablet computer from the command line. For this scenario Microsoft provide a white button which unveils the soft keyboard so that you can type commands to solve your problem. Look carefully under the left hand side of the password box, there is your white dot. As you drag the dot down with your touchscreen, so the soft keyboard appears. Now you can touch the keys and type in your password, or any other instructions you need to give the boot loader. Note: See the red arrow on screenshot above right. If you want a keyboard shortcut combination in Windows 8 then begin with the Windows key itself. Windows Key – If you are at the Metro UI, pressing he Windows Key on its own brings up the desktop. Furthermore, if you are at the desktop the same Windows key returns to the Metro interface. Windows Key +B Switches to the Windows desktop and selects the tray notification area. Windows Key +C One of my most used keyboard combinations, displays the Charms with the Search, Share, Start Devices and Settings icons. Windows Key +D Switches to the Windows desktop and hides/shows any other applications. Windows Key +E Launches Windows Explorer with Computer view displayed. Windows Key +F Brings up Search Files using the new Windows Search pane. Windows Key +H Opens the Share Charm. Windows Key +I Display Settings pane for the Start screen (also provides access to Networks, Volume, Screen Brightness, Notifications, Power, and Language). Windows Key +J Swap foreground between the snapped and filled apps. Windows Key +L Locks the PC and return to logon screen. Windows Key +M Minimizes the selected Explorer window. Windows Key +P Display the new Project (for "projection") pane for choosing between available displays. Windows Key +Q Search (within) Apps using the new Windows Search pane. Windows Key +R Switch to the classic Windows desktop, and then display the Run box. Windows Key +U Switch to the (classic) Windows desktop and launch the Ease of Access Center. Windows Key +T Toggles a hidden Taskbar (Also tabs to icons in the taskbar). Windows Key +S Search Apps dialog box. Windows Key +W Opens the Settings search panel. Windows Key +X Switch to the (classic) Windows desktop and display the Windows Mobility Center application. Windows Key +Z Display the App Bar in a Metro-style app. Windows 8 has an assortment of virtual or touch keyboards. They extend what you can do with a tablets, and also have their uses on desktop machines.